Local home and business owners know how essential Jacksonville, FL, heating and air conditioning services really are. Extreme temperatures have a heavy impact on moods and productivity, not to mention existing health conditions. You need HVAC services that perform well, and we will go the extra mile to ensure you have them. Del-Air understands that a new unit should do more than just cool your house, which is why we provide units that lower your energy costs and keep your air clean. Many of our units have excellent SEER ratings, meaning they require less energy to get the job done. We offer other features as well, such as HEPA filtration, which can keep your air cleaner, and humidity control for maximizing the impact of your heating and cooling choices. 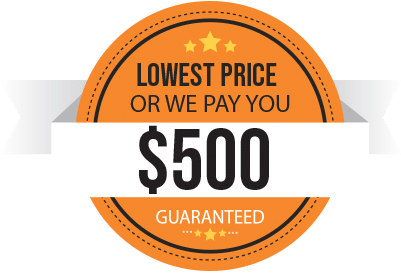 Shop with the best to receive competent assessments, extended warranties, flexible financing with approved credit, professional installation and other affordable service and maintenance programs. Since 1994, Del-Air has been carrying the top appliances in Jacksonville. We will guide you through the purchasing process until the appliance is in your home and you are satisfied. Don’t waste time and money dealing with problems from a poor installation. We’ll use our years of expertise to help you select the very best units sized perfectly for your property. Our sales representatives work within your budget and find the best appliances for you. Our professional and factory-trained technicians will then install it on time and efficiently. Del-Air is happy to have a reputation for designer styling, innovative features, environmentally friendly products and complete satisfaction. We also offer HVAC repair and preventive maintenance for all customers. 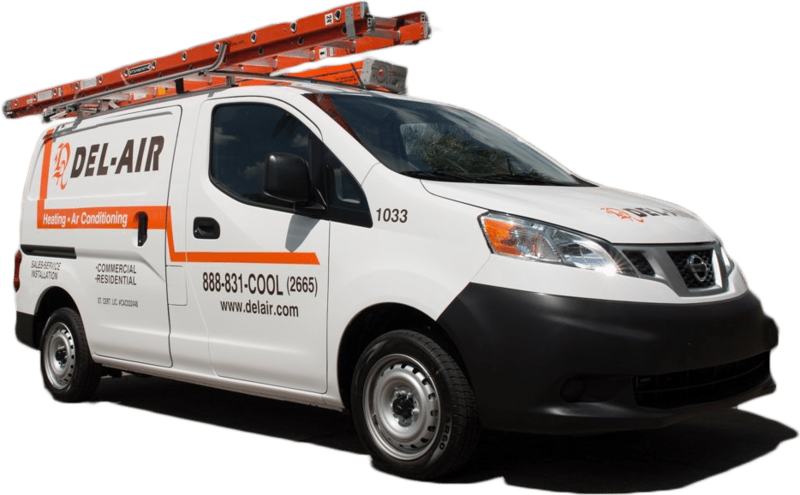 Del-Air’s Jacksonville, FL, heating and cooling experts are proficient in the repair and service of all major air conditioning brands. Because we’ve spent more than three decades in the area, we’re tuned in to what causes problems in the area – heat and humidity, bugs and other common issues. We also plan for them during the selection and installation phases to protect your investments and help your equipment last as long as possible. Additionally, we recommend preventive maintenance to get the ideal performance from your unit and avoid the need for expensive repairs. Save money on your energy bill by ensuring your unit is at top efficiency and secure a more reliable heating and cooling unit with an affordable maintenance plan. Del-Air has multiple packages to suit your needs and offers a free consultation to properly determine what is best for responsibly maintaining your unit. As an EPA-certified company, we vow to give you the best option for HVAC support. We’ve been guaranteeing satisfaction for customers for more than three decades by providing them with the top brand names and the most talented technicians available. We are your Jacksonville, FL, heat and air experts. Del-Air offers 24/7 service, so contact us today. We look forward to working with you and bringing you the best service in the HVAC industry.